I am often asked if it is safe for children to take voice lessons. A child’s health and safety are a parent’s first consideration, even when it comes to how to learn to sing. The body isn’t a machine. Vocal cords are small, delicate membranes. It is easier to damage the vocal cords of a child than those of an adult. Some parents have even heard that a child should wait until the voice fully matures before taking singing lessons, or risk the danger of permanently damaging the vocal cords. 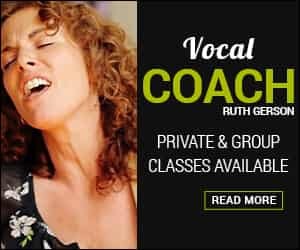 Rest assured, it is absolutely safe for children to work with a trained vocal coach, who is knowledgeable of the child’s voice and employs deep care in training them – in fact, children who take singing lessons will readily learn the techniques they need to prevent injury to their vocal cords. Learning to sing is comparable to learning to swim. A good swimming instructor will teach your child proper positioning, form and breathing to ensure safety and establish technique. Without good instruction, one could get discouraged or hurt, but with guidance, a child takes quickly to the water and is able to increase stamina and ability as she grows. Especially with the voice, because it is delicate tissue, it is important to work methodically and gently, focusing on the middle of the voice and mastering technique in this area without forcing range or volume. A child’s voice should not be physically strained, pushed or overworked. The sooner one learns the best habits to protect the voice, the better. Receiving the foundations of proper vocal technique may prevent the occurrence of serious vocal injuries later on in life. It is never too early for a child to begin ear training. The basic tenets of breath support, breath placement, positioning of the tongue, mouth and jaw can be learned when a child is old enough to focus on vocal warm-ups. The vocal coach that turns away a child and says, “Bring them back when their voice has matured,” I believe, does not want to work with children and the aspects of the voice that children are prepared to address. Singing lessons will prevent your child from creating habits that may become difficult to break later on. For example, most children who love to sing listen to pop music, and they tend to do a lot of pushing and straining in attempt to repeat the high notes they hear. Kids want to imitate the sounds of their favorite pop star belting it out. The star, however, is usually a full grown adult, and if not professionally trained, then at least experienced and physically able to support those notes more adeptly than a child, who is squeezing and screeching out of their range – this can cause damage. A great vocal coach will be able to teach your child to sing by learning and mastering songs in their range, while incorporating a knowledge of breath support, breath placement, posture and positioning. A great vocal coach will teach your child to sing without blaring headphones on both ears, so they can hear themselves and avoid training the voice to sing off pitch, rather than on. A great vocal coach will teach a child how to breathe properly and use an even, steady breath to produce sound. A great singing teacher will also expose younger students to music the child might have missed out on, because it is not featured on their favorite pop station. Yes, it is safe for children to have voice lessons from an experienced and educated singing teacher. Research the vocal coach thoroughly. Make sure you completely trust that the adult your child is learning voice from is caring, fun and knowledgeable. Always record your child’s voice lessons. The recordings will help your child practice, and also allow you to review the vocal coach’s methods, if you are not in the room. Music lessons are one of the last places a child is left alone in a room with an adult who is not their parent, so recording lessons is important both for practice and safety. In twenty years of teaching voice, I have not yet had the experience of an adult student coming to me with injured vocal cords and holding the singing lessons they had as a child the culprit. 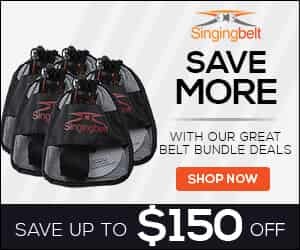 What I have experienced is many students coming for voice lessons with vocal nodules, who were never taught the proper techniques for singing, and therefore injured themselves over and over again, since childhood.